You understand your personality profile and can now see how the pieces fit together to form a whole functioning group. So now the struggle becomes how to communicate effectively with each other. Effective communication is difficult under normal circumstances but try complicating it with different strengths, weaknesses, needs and motivations and you are likely to feel a bit overwhelmed. Worse yet, do this for an entire team of different profiles and watch your time disappear. Instead of resorting back to the way things were before you learned all of this information, try incorporating a couple of these tactics the next time you have a team meeting. Remember you can meet the needs of all your personalities in one meeting at one time which in the end will save you time and energy while reducing stress and frustration. Project Outline. In order to better understand effective communication, the same example will be used for each profile. You have been given a task of reducing your team’s budget by $1M over the next three years and are holding a team meeting to communicate the expectations, deadlines, and potential concerns. What. For the dominating in your group, they need to know the “what” of this project. They are not interested in how you think they should go about cutting the budget or who is involved; rather they just want to know what are the expectations and deadlines. The more information you give them the more likely they are to be frustrated and fear that you don’t trust them to complete the task. Less information is best, they will ask for more details if they need it. Who. For the influential in your group, they need to know “who” is involved this project. While the other information such as deadlines and objectives are necessary, you will get further if you explain who will be involved in the project with them and who will be reviewing the project in the end. If there is potential for public recognition, use this as a motivating piece to encourage the project to be completed on a timely basis. For this group, it is best to move the deadline earlier as they are likely to be late. How. For the steadfast in your group, they need to know the “how” of this project. Questions like how is this project going to be measured, how are they going to tell someone that the budget has been cut, and how are they going to viewed by others are important issues to address. The more support, reassurance, and loyalty you can show this group the more comfortable they will be accomplishing this task. This group will come back to you over and over again because they are afraid of hurting someone along the way. Why. For the conscientious in your group, they need to know the “why” of this project. Begin by explaining the big picture of why the budget is being cut then move to why their specific area needs to be cut. It will be hard for this group to participate in such a project without fully understanding all of the details and decisions that lead to this conclusion. Give them as much information as you can and then redirect them to someone else for additional information if needed. More information is better than less. Don’t feel as though everyone needs to hear all of this information, they don’t. if the dominating of the group are done, let them leave and begin to work. If the influential of the group want to hang out because they like to be with others, let them but don’t expect them to hear anything past the “who”. You will have to give the steadfast permission to leave the meeting as they are least likely to take initiative. But the conscientious of the group will outlast and out question all of the groups. Meeting the needs of each group one time is a far better use of your time and will reduce the level of stress for your team. 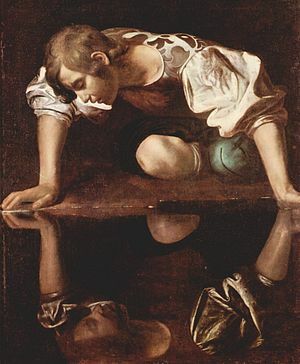 After years of speculation, you have finally come to the realization that your boss is a narcissist. Since this is not the type of economy where you can just leave your job and expect to get another one quickly, you find yourself stuck and miserable in a job that normally you would like except for your narcissistic boss. In the beginning everything was great. Your boss seemed to like you and you liked him/her despite the previous dozen or so former employees who left rather abruptly. Then one day everything changed, as if a switch just flicked without your knowledge and you went from the best employee ever to the most incompetent human alive. But you are stuck and despite the numerous attempts to flick the switch back the other way, it’s not budging. Every day now begins with several duck and cover attempts as you dodge the verbal bullets assaults of your boss until one day when you have no option but to confront. Finally, the issues on your desk have built up to an unbearable level and something has to give as there is no more time. While you know you need to confront your boss, you must do it in a way that doesn’t cost your job in the process. So how do you do it? Try a few of these suggestions. Use the Hamburger method. Think for a moment about a McDonald’s hamburger, would you ever eat the meat without the bun? No, the meat is terrible without the bun. Well for just about anyone, but a narcissist in particular, delivering bad news is the meat of the matter and without a bun it is likely to be spit right back out at you. So, create a bun of praise around the meat. Since a narcissist loves himself/herself, try praising your boss first, then follow it with the meat of the matter, and end it with yet another personal or professional praise. Use it only once. You are going to be shocked at how well this will work and be very tempted to repeat this for the dozen or so other meats but watch out. Your narcissist boss will likely catch on and become even angrier thinking that you are manipulating him/her. So when you do this, do it once per conversation, and never twice in the same day. Pick your meat carefully. If possible, prioritize the meat that needs to be confronted and do the most burning issues first, then follow it with the ones for greater long-term impact and end with the other not so important short-term issues that may just go away on their own. Whenever possible, overlook meat so your confrontations are not frequent but don’t be irresponsible about the meat. Some meat must be dealt with however insignificant it may seem. When in danger…If the confrontation begins to take a bad turn, don’t defend yourself. Never ever give ground to a narcissist unless you are willing to give that ground permanently. Instead repeat back part of what your boss is saying, not too much to be obnoxious, but just enough to let him/her know you heard what he/she said even if this includes something negative about you. That action alone, without your overreaction will be enough to take the wind out of his/her sails. No emotion. The thing about a narcissist is that he/she has no empathy of anyone else except himself/herself, so don’t waste your time getting upset or teary eyed. The quickest way for a narcissist to stop being angry is for you to have no emotion whatsoever. When you show emotion, he/she believes you have lost and treats you like prey instead of treating you with compassion. When you don’t show emotion, your narcissistic boss will try another tactic such as changing the subject to try again to get the upper hand. Don’t give ground, stand still, and stand strong and your narcissistic boss will likely soften around you instead of attacking the next time. Just remember that a narcissistic boss is common and even if you left your current position, you are likely to find another one lurking behind some corner. So stop fighting and learn how to talk to a narcissistic boss instead of running from them.